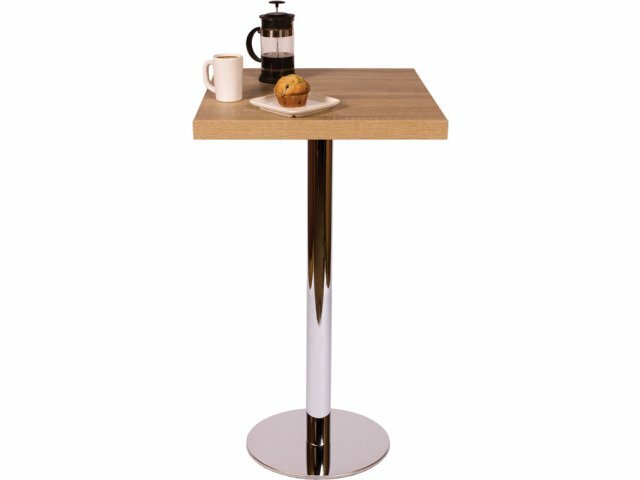 Bar-Height Square Cafe Table - Round Chrome Base 36"x36"
The round chrome base of this café table looks great with the square top in your choice of color. This table is a great size for a small gathering at lunch time or a study session. 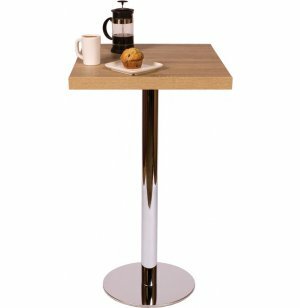 Chic Base: Round chrome base complements tabletop beautifully.